Yellow flower partridge pea, chamaecrista fasciculata. It’s a small flower, not very showy but the more I saw it the more it grew on me. 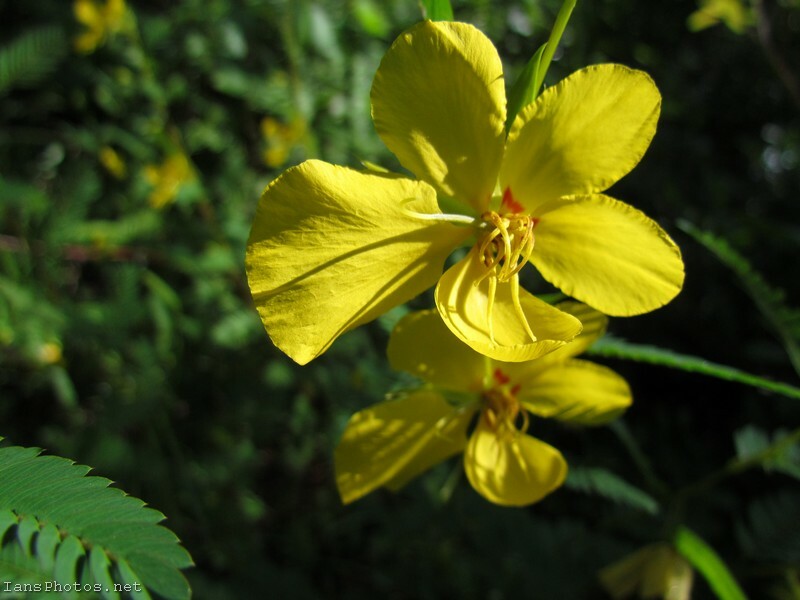 I used google and found the common name of this plant is the partridge pea and the scientific name is chamaecrista fasciculata. At first, I didn’t even photograph the small flower. A few months later I visited another nature park (Labelle Nature Park) and was happy to see the plant growing there as well. That’s when I decided to see if it would make a nice photo. I got a few photos and like the results. I wish I would have taken more and will be sure to check back next year when the flower is in bloom. At first, I didn’t even photograph the small flower. A few months later I visited another nature park (Labelle Nature Park) and was happy to see the plant growing there as well. That’s when I decided to see if it would make a nice photo. I got a few pictures and liked the results. I wish I would have taken more but will be sure to check back next year when the flowers are in bloom. Of course, this plant and many like it are called weeds, but it’s beautiful none the same. One of my favorite things about photography is the vibrant natural colors that are everywhere around us. All we need to do is take the time to look and then enjoy. A small detail that adds to the beauty of this small flower is a small dot of red at the center. If you would like to purchase a print of this or any other of my photos please feel free to contact me for more information.